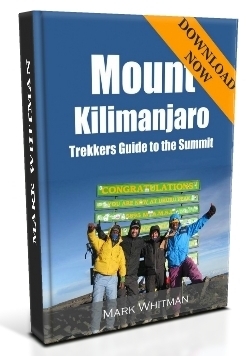 Cheap Flights To Kilimanjaro (Or) How To Get To Kilimanjaro! Finding cheap flights to Kilimanjaro International Airport is not an easy task because not many airlines fly to JRO, the IATA code for Kilimanjaro Airport. 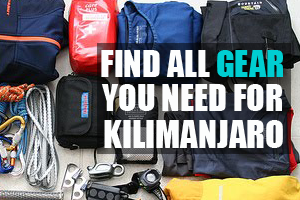 In this short article we’ve outlined how to get to Kilimanjaro safely, affordably and within a sociable timeframe! This article is most relevant to United Kingdom and United States readers, but can equally be used by Europeans and travellers from Southern Africa, Australia, Asia and South America. 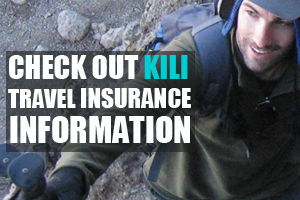 To get to Kilimanjaro you need to fly to Kilimanjaro International Airport (IATA code is JRO). 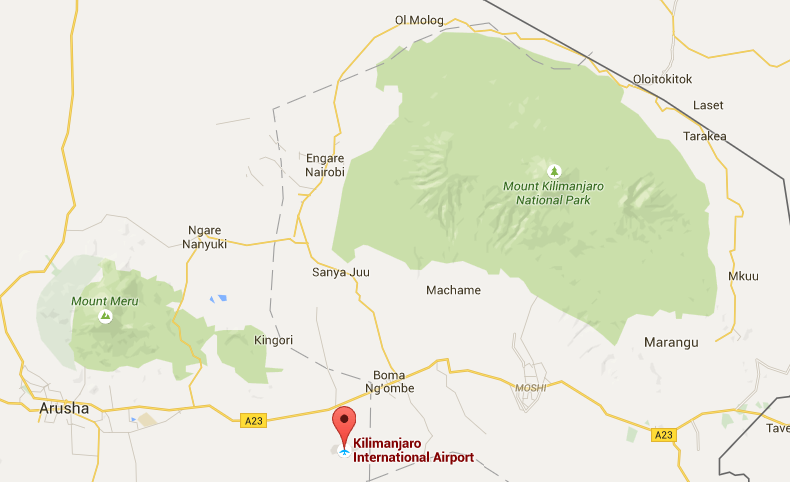 The airport, shown on the map below, is situated south-west of Mount Kilimanjaro National Park and is nearly equidistant from the two main towns, Arusha and Moshi. Most trekkers spend the night before their Kilimanjaro climb in Moshi, which is about a 45 minute drive from Kilimanjaro International Airport. 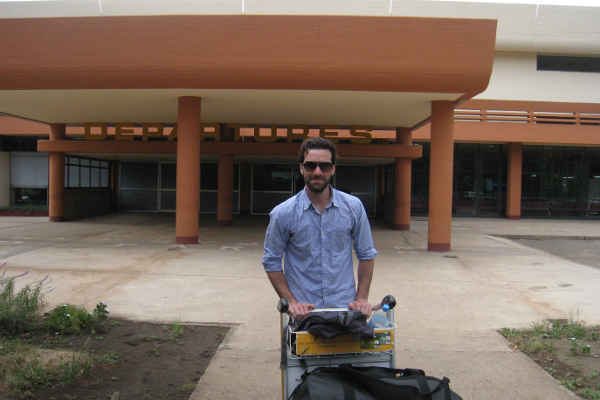 It is possible to fly into Arusha airport, but this is a small domestic airport that only receives internal flights and a few connecting flights from Kenya. Sadly there are not many direct International flights to Kilimanjaro International Airport (JRO), and none from the United Kingdom or United States. 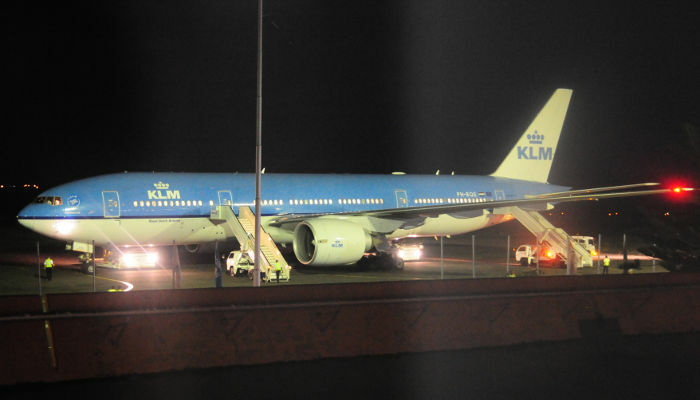 The most affordable, yet convenient flight for most prospective trekkers from the Northern Hemisphere is to fly from Amsterdam on a direct KLM flight to Kilimanjaro. This flight departs Amsterdam around 10:00am everyday and arrives at Kilimanjaro International Airport around 20:30pm the same day. KLM often run deals on this flight, which can be – accessed here. For trekkers in Europe, UK and the US, the easiest thing to do is to fly from a major local airport hub near you to Amsterdam (most major airports in Europe, UK and the US have flights to Amsterdam), and then catch the KLM to JRO connecting flight. A major benefit of flying KLM, apart from the fact that it is one of the only International airlines that fly to Kilimanjaro, is that they are super efficient and issues related to lost / or delayed baggage are very unlikely. It is also worth checking out flight aggregators, like Flight Network. In terms of indirect flights to major African airport hubs near Kilimanjaro International Airport, your best option is either Kenyan Airways or Ethiopian Airways, who both operate routes from major United Kingdom, United States, European and some Southern Hemisphere airports. These flights go via Nairobi (in Kenya) and Addis Ababa (in Ethiopia) respectively. Once at these airports it is relatively easy to catch a connecting flight to Kilimanjaro International Airport. Connecting airlines include Kenyan Airways, Precision Air and Ethiopian Airways. A major downside of this route are the long delays and more worryingly, frequent reports of lost or delayed baggage, which can really mess up a trekking schedule. From Southern Africa there are many airlines that will get you to Nairobi, Dar es Salaam or Addis Ababa including South African Airways, Kenyan Airways and Emirates. A new international route direct to Kilimanjaro International Airport is operated by Qatar via Doha. For Brits living near London or Manchester this can work pretty well as there is an option of travelling from both UK airports to Doha. The route also works well for trekkers living in the Middle East, India and Eastern Europe. Unfortunately layovers can be quite lengthy. Finally, Turkish Airlines are the newest operator with direct flights to Kilimanjaro. Flights are via Istanbul, which is great for anyone living in Europe or the Middle East. The flight times however, are rather anti-social, with the flight arriving at Kilimanjaro at 02:00am and departing, if you are taking the same airline back at 03:00am! Prices tend to be cheaper than other airlines though, so this option may be worth considering if you are on a tight budget. However, with an arrival at 02:00am, any gains in a cheaper flight will most likely be lost in the cost of an extra hotel night that will be required unless you want to tackle Kilimanjaro jet-lagged and sleep deprived (not recommended!!). This route doesn’t run every day either. So there you have it. There are a few options for flights to Kilimanjaro, but all, except arguably the KLM flight from Amsterdam, are a little inconvenient. That being said, the pain of travel is far outweighed by the pleasure of reaching the Roof of Africa!